Buying a home in Sioux Falls is exciting. When you have finally found a home that checks all of your “must have” boxes, it can be easy to want the process sped up so you can move in as quickly as possible. However, before signing on the dotted line, it is incredibly important that you insist on a home inspection. Home inspections offer potential buyers many benefits and should always be a part of the home-buying process. When it comes to inspecting a home, apathy is necessary. Understandably, most potential buyers have emotional connections to the homes that they favor. If a potential buyer “falls in love” with a home’s wooden floors or ornate ceilings, he or she may fail to consider the structural integrity of the home’s chimney or poor water drainage capabilities. Home inspectors have no emotional ties to the homes that they inspect. This is a good thing and can help buyers see the thorns in the rose bush, so to speak. One of the main reasons potential buyers do not hire a home inspector is because they want to save money. Home inspections in Sioux Falls are not incredibly expensive and will range from, on average, $300-$500. While a home inspection does cost a couple of hundreds of dollars, it can save a potential buyer thousands of dollars and can give a buyer an “out” of the deal if necessary. For example, if a home inspector determines that the home has structural issues, a potential buyer gets to sit back and think about whether or not they are ready to take those issues on once they purchase the house. 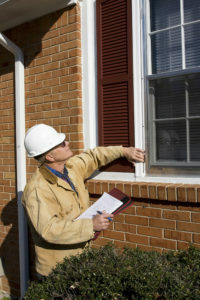 Further, a home inspection can educate the buyer in how much he or she has to budget for future home maintenance costs. Home inspections can make for great negotiating tools. If the inspection uncovers issues that are far costlier than the seller let on, a buyer can use the inspection report to negotiate a lower selling price in order to balance out the costs associated with future home repairs. However, it should be noted that an inspection report cannot be used to enforce that a seller must fix every single one of the home-for-sale’s problems. If they were to known to the buyer prior to the home inspection, it will be more difficult to negotiate a price cut. While peace of mind does not do anything for a buyer financially, it does help make the buying process a lot less stressful. Being able to rest assured that the home you are purchasing does not have structural problems, safety issues, or hidden defects is paramount when you are buying a house in Sioux Falls. Your inspection report will also inform you on when various appliances or parts of the home may need to be serviced. This can allow for peace of mind down the road when you know that in six months, you should service the A/C unit. Home inspections can help reduce the stressors that come with buying a home. If you plan on purchasing a home in Sioux Falls or if you are in the process of purchasing a home, make sure that you request a home inspection before you sign on the dotted line.